Recurrence Relation 2 is a single-channel video projection, where the tenuous image of a figure emerges from the distant horizon. The figure walks towards the viewer, even at times looks straight onto the viewer, then continues beyond the viewer. The landscape of the barren high arctic sits still as the figure emerges again, to repeat the same migrating pathway, endlessly. In mathematics, a recurrence relation is an equation that defines a sequence recursively: each term of the sequence is defined as a function of the preceding terms. Cycle after cycle, the figure, returns in silent determination, carrying with him/her the accumulated memory of the previous cycles. The figure is like Sisyphus on his way down the hill, momentarily without the weight of his stone. 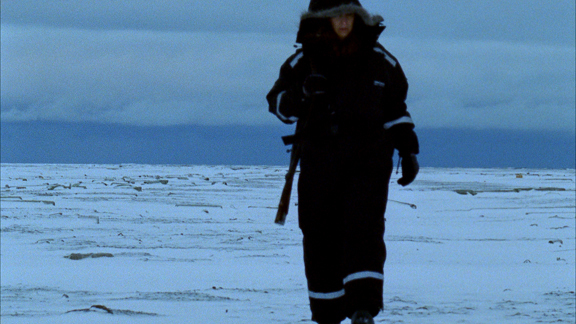 Filmed in Moffen Island, International Territory of Svalbard, an archipelago near the North Pole (80°N, 14.5°E). 2011. Single-channel video projection, captured in 16mm film, 3:35 minutes, color, silent. 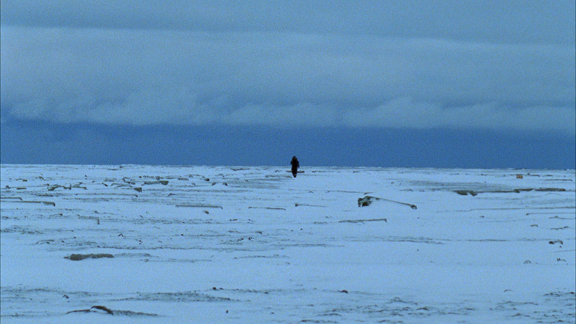 A tenuous image of a figure emerges from the distant horizon. The figure walks towards the viewer, even at times looks straight at the viewer, then continues beyond. 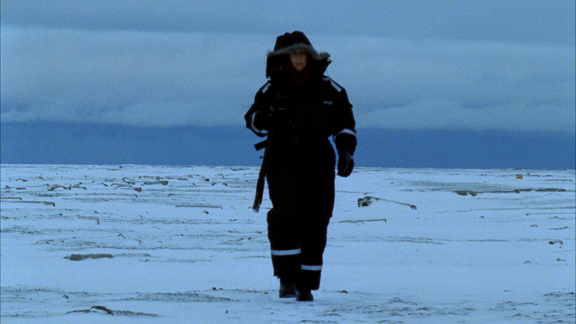 Filmed in Moffen Island, International Territory of Svalbard, an archipelago near the north pole (80°N, 14.5°E), during the Arctic Circle 2010 residency.